Built before Washington even became a state, the McNeil Island Penitentiary stood for 136 years as a prison, and its relative isolation made it a little-known entity. Yet, according to Gwen Whiting, lead curator with the Washington State Historical Society, “no other prison represents as many different eras in incarceration history as McNeil does.” When McNeil closed in 2011, it was the last remaining island prison in the United States. In a new exhibit, “Unlocking McNeil’s Past: The Prison, The Place, The People,” the Washington State Historical Society explores the stories of this often-forgotten island and its rich history. Humanities Washington supported the exhibit through a Washington Stories Fund grant. The museum is also partnering with KNKX to produce a podcast, Forgotten Prison, which just aired its first episode. Among those stories is that of Howard Scott, who was incarcerated at McNeil Island due to his moral and religious objections to World War II. A close friend of anti-internment activist Gordon Hirabayashi (who was also imprisoned at McNeil), Howard became a conscientious objector following Executive Order 9066, which authorized the internment of Japanese-Americans. While at McNeil, he met another prisoner who knew how to make violins. Although Scott had never learned to play, he was fascinated with the instrument. Using scrap lumber found in the yard, the man taught him how to heat wood on a radiator so he could turn it and shape it, slowly forming the pieces into the beginnings of a delicate instrument. Eventually, his teacher was released from McNeil, leaving Scott to finish the project himself. His wife found a violin manual and began to copy instructions for him, including them in her daily letters to her husband. At first, the diagrams were confiscated by prison guards, so she became more creative. When visiting Howard with her baby, she hid the instructions between their newborn’s plastic pants and diaper or smuggle the plans in through her diaper bag. When Scott left McNeil, he was allowed to take the pieces he had already made, as well as the tools he handcrafted, home with him. Years later, his grandson had the violin assembled. 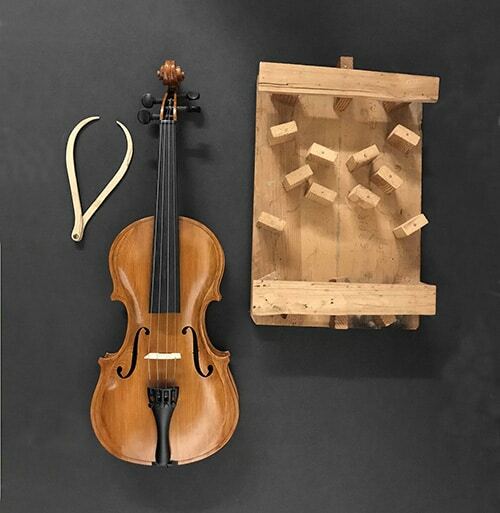 The violin, Scott’s tools, and the letters are on display in the exhibit. 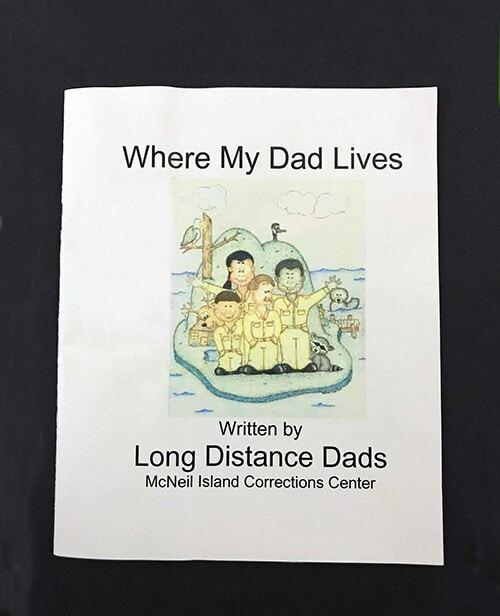 Another part of the exhibit highlights Fathers Behind Bars, a group created at McNeil who worked with a ministry to create a children’s book, Where My Dad Lives, describing their experience as incarcerated parents. Published in 2000, Where My Dad Lives answers children’s questions like: What does your dad do during the day? What does he eat? What can you do while you’re visiting him? Why is he in prison? Told from their own perspective, these fathers wanted to remind young readers of the importance of making good choices, so they could lead different lives than their dads. The couple who founded the ministry that began this project mortgaged their home in order to be able to publish enough copies of the book—they wanted to ensure that every child who visited their father at McNeil had one. Visit the Washington State Historical Society’s exhibit, Unlocking McNeil’s Past: The Prison, The Place, The People, running January 26 to May 26. Listen to the accompanying podcast, Forgotten Prison, produced by KNKX. Attend a panel discussion March 2 on the experience of incarceration and re-entry, which will include our own Speakers Bureau presenter Omari Amili. Find out more on the museum’s events page.